Keen Painting and Renovations, Inc. Comment: 4 - 5 rooms need ceiling textured. Can be done in two trips. Surfaces are prepped and ready for texture. Comment: Kitchen needs repainting Will require walls and cabinetry cleaned first. Also removal of paper 12 inch trim at ceiling removed. Comment: Repair sheet rock and paint. Please give me a call as soon as possible. 3400 A W 7th St.
Arlington Painting Contractors are rated 4.72 out of 5 based on 1,348 reviews of 116 pros. 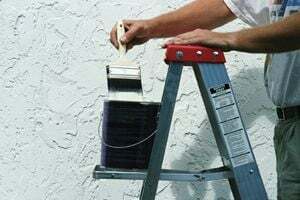 Not Looking for Painting Contractors in Arlington, TX?